One of the things plastic surgeons love most about their chosen field is that it is always evolving. New technologies, techniques, and procedures are constantly being invented to better address patients’ needs and desires. One of the things that patients desire most is a little less fat, usually in their abdomen, derriere and outer thighs. Although liposuction is still the gold standard for removing stubborn pockets of fat, there are a couple of new non-invasive techniques that have our panel of experts pretty excited. Most plastic surgery patients take really good care of themselves, and that is the ideal position to be in when considering a procedure. They watch their carb intake, eat enough lean protein and drink lots of water. They also work out, hard. However, no matter how much you exercise or watch what you put in your mouth, certain pockets of fat refuse to budge. The typical problem areas for most patients is the abdominal region, outer thighs/flanks and buttocks. For Dr. Steven Camp of Fort Worth, TX, liposuction is still his go-to procedure for eliminating fat deposits that are resistant to diet and exercise. It works and works well, but sometimes, patients want a procedure with a little less down time and cost than surgery. So, he and his colleagues turn to non-invasive options such as CoolSculpting, which freezes the fat, and SculpSure, the latest player in the non-invasive fat reduction market and the only FDA approved laser treatment for removing unwanted fat. According to Dr. Charles Messa of Weston, FL, the advantage of SculpSure versus CoolSculpting – a technique that’s been on the market for the past few years – is that it is considerably faster. A SculpSure treatment only takes about 25 minutes while a CoolSculpting treatment takes about 50. Dr. Laurie Casas of Chicago was an early adopter of CoolSculpting and loves the procedure. She uses it as a regular part of her body contouring practice either as a stand alone for very small areas of resistant fat or in conjunction with other non-invasive treatments such as Ultherapy. These procedures work exceptionally well in concert with other procedures, but even alone they produce results without downtime, a key factor in patient desires. The important thing for any surgeon when meeting with a patient about a fat reduction procedure is to carefully explain exactly what each technology can deliver. You never want to be in a situation where a patient has unrealistic expectations. 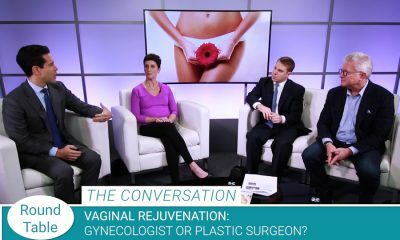 As Dr. Messa explains, both SculpSure and CoolSculpting, “are great non-invasive techniques, but they’re not equivalent to liposuction.” Patients can only expect to see about a 24-25% reduction in fat with a non-invasive technique, and it’ll probably take more than one procedure to achieve this kind of result. And what kind of pain level can you expect with one of these non-invasive fat reduction techniques? Our moderator, Dr. Sean Doherty of Boston, MA, has done the SculpSure treatment on himself and rates it about “an 8” — not significant and thankfully, fairly short lived. He wouldn’t label either SculptSure or CoolSculpting as an excessively uncomfortable procedure. The good news here is that if you’re struggling with some stubborn pockets of fat, there are viable non-surgical options for dealing with them. Just be sure to have an honest conversation with your surgeon about what exactly can be achieved for your individual body.